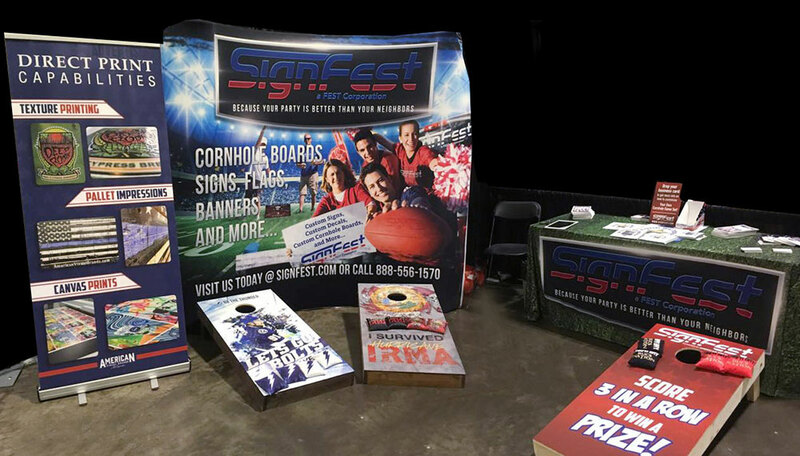 SignFest is a brand of American Visual Brands a proud member of the Fest Corporation of Companies, which includes American Marketing and Mailing and American Partner Solutions. Founded in 1994 by Chuck Fest Jr., the group rises head and shoulders above other marketing companies with specialized and effective in-house services that address the unique requirements of different industries and companies. At SignFest we provide a complete visual experience for professional and personal brands across the United States. Together, we will develop a plan to make your brand stand out. From events, venues and retail environments to your home or office, our solutions will deliver the quality and impact you are looking for. 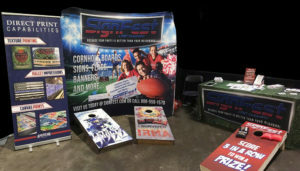 Make your brand come to life through your SignFest displays. Your visual brand will define you. A visual presentation evokes emotion, gives you credibility, quality and defines your customer experience. Develop a brand and visual presentation that will differentiate you in all the right ways from your competition. It’s time to bring your brand to life with vivid color displays and your unique personalization. The opportunities are almost endless – improve your retail space, personalize your décor in your home or office, vibrantly stand out at a trade show or from your retail competition at your storefront. Our site is constructed to allow you to create your own design on each of our templates, but if you don’t see the size you need call us (888) 556-1570 we would be happy to accommodate.